Insects by Barbara Taylor is a great resource for students who want to learn more about insects. 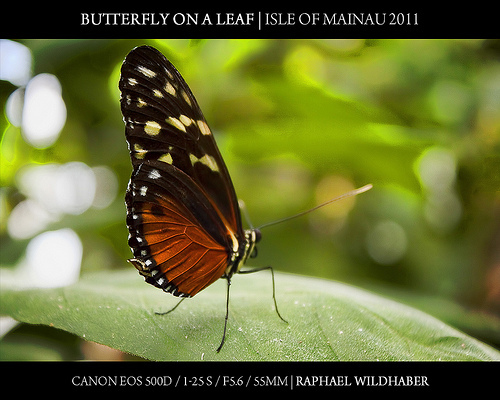 It comprehensively covers most introductory questions students will want to know about insects. In addition, this book is available in Spanish as Insectos. The Beetle Alphabet by Jerry Pallota uses the many kinds of beetles to teach the entire alphabet. Drawings are very detailed and help students see just how many different kids of beetles are out there. The reading level is 2nd-3rd grade, but the alphabet and drawings could be used with younger students as well. Jerry Pallota has a number of other books, including counting books that use insects. These are available in English and Spanish: in English, there’s Icky Bug Numbers 1 2 3 and in Spanish, there’s Cuenta los insectos. The Magic School Bus Inside a Beehive by Joanna Cole focuses in on bees – demystifying these often scary creatures and helping kids learn about bee life. The book is written for 3rd grade reading level, but kids of all ages will draw information from it. Then, of course, there’s the DK Eyewitness book Insect by Laurence Mound. Like all DK Eyewitness books, this one will answer almost every question a student will have and serves as a great reference for insect research. If you can get your hands on the most recent edition, it comes with a clip-art CD, providing you with you with lots of reference material. And, it’s also available in Spanish: Insectos. Finally, don’t forget our earlier suggestion of a kid-friendly field guide like the National Wildlife Federation Field Guide to Insects and Spiders & Related Species of North America by Arthur Evans. Do you have any other favorite insect books? 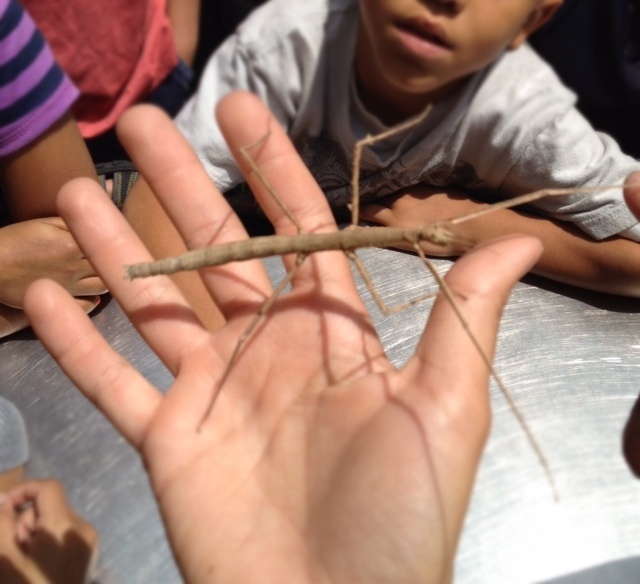 You probably already teach about animals and their habitats – why should you teach about insects in particular? 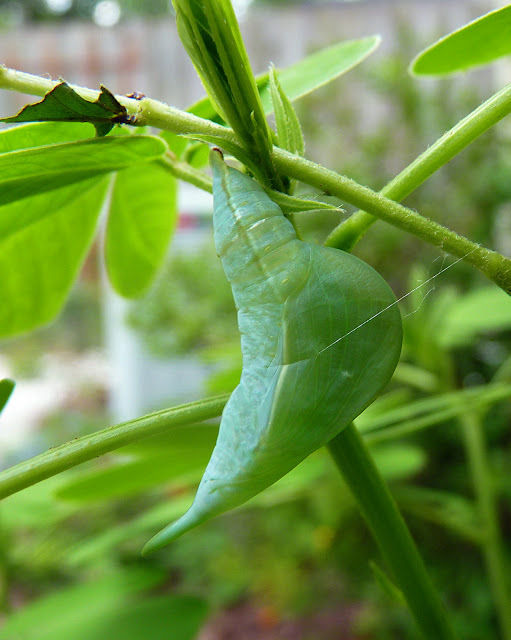 Insects and other small animals are a key part in any food chain, a subject your students will study in 4th grade science. 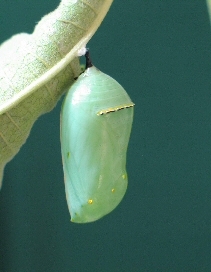 Knowing about them and having respect for insects now will help them better appreciate insects’ importance later. If you are interested in a great game that combines food chains with human impact on the environment, check out the game Deadly Links in an educational guide produced by the Girl Scouts (scroll to page 18). This role play examines the relationship between three animals (mosquito, fish, eagle) and what happens when human beings try to get rid of the mosquitoes. Deadly Links is appropriate for grades 4+ in its current form, but could easily be adapted for younger students. 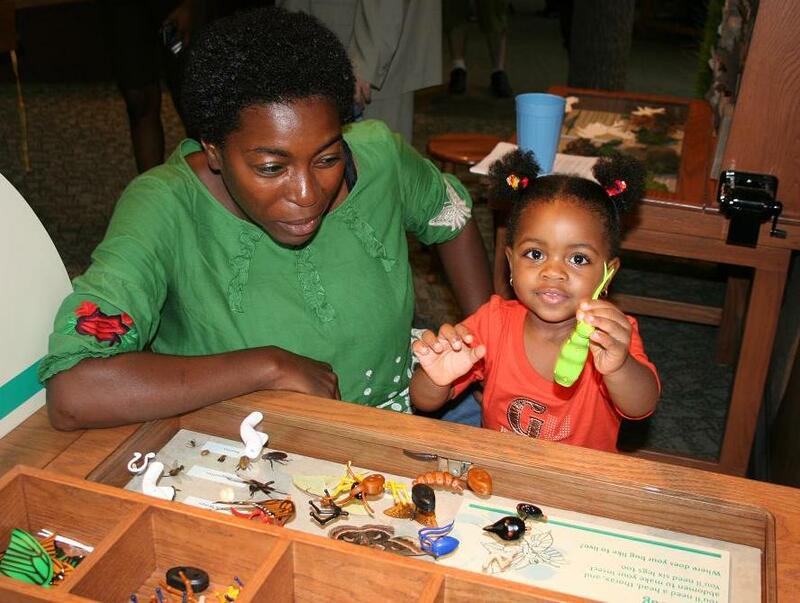 Little kids might not be ready to learn about food chains, but they're always welcome to come to Brooklyn Children's Museum and build an insect of their own! 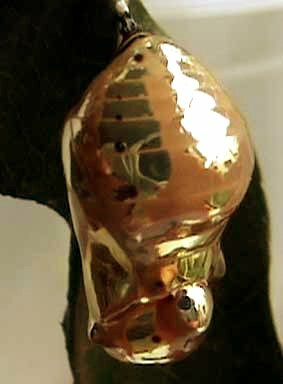 It’s quite easy to make a realistic insect in your classroom, including all the parts an insect should have. 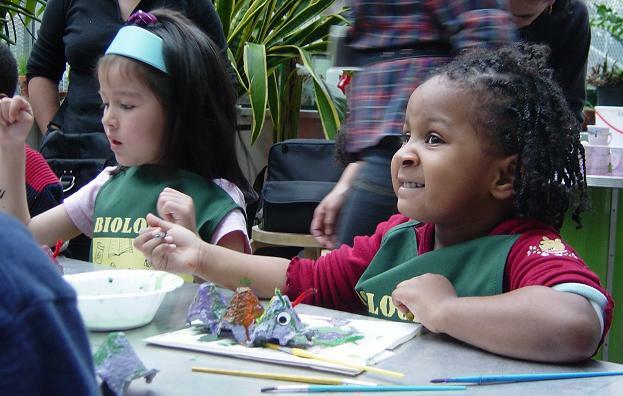 This little girl is working on her insect in a public program at Brooklyn Children’s Museum. As you can see, we cut egg cartons down to three-segment size (triple wide egg cartons divide perfectly). Each kid received the pre-segmented body, representing the head, thorax, and abdomen. To the head, she attached eyes and two antennas. Right now, she is painting her insect however she likes. The final step will be attaching 6 pipe cleaners for legs to the middle segment – the thorax. Pipe cleaners are ideal because they actually bend, just like the jointed legs of an insect. 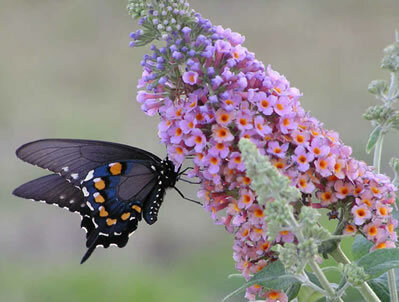 If you choose to attach wings, they would also go on the thorax. Finally, the egg carton is strong and tough enough to almost count as an exoskeleton. Try it out in your classroom! 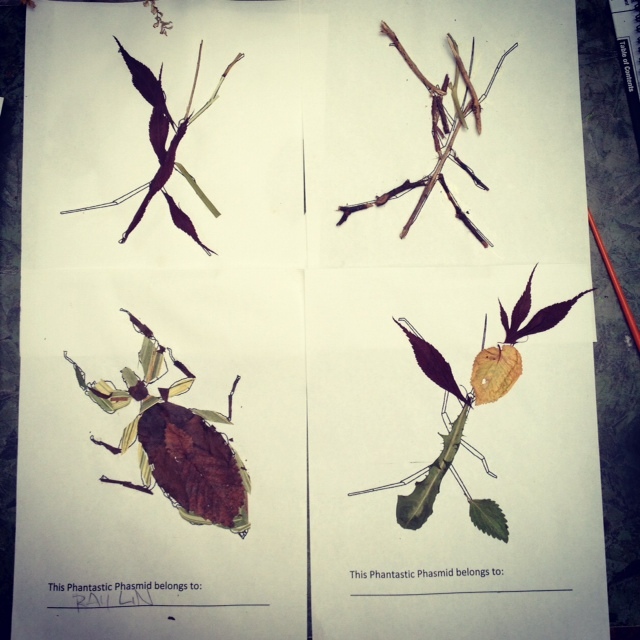 We would love to see the bugs your students make – email them to us, gogreen@brooklynkids.org. Have them do gestures at the same time to reinforce what the terms mean. Tap your head. Since a thorax is where the insects’ legs attach, hold up three fingers on each hand, place them in front of your chest and wave them like legs. For abdomen, rub your tummy. To show jointed legs, bend and flex your legs. And, finally, for exoskeleton, make your hands into fists and rap them on the opposite arm to demonstrate a hard exterior. This song works well with all ages, from Pre-K to high school biology (even if you might get some rolled eyes with the big kids). We hope your students enjoy it! Check back tomorrow for an insect-making art activity.